On the 16th of November, the foundation Reverence organized its third regency ball. 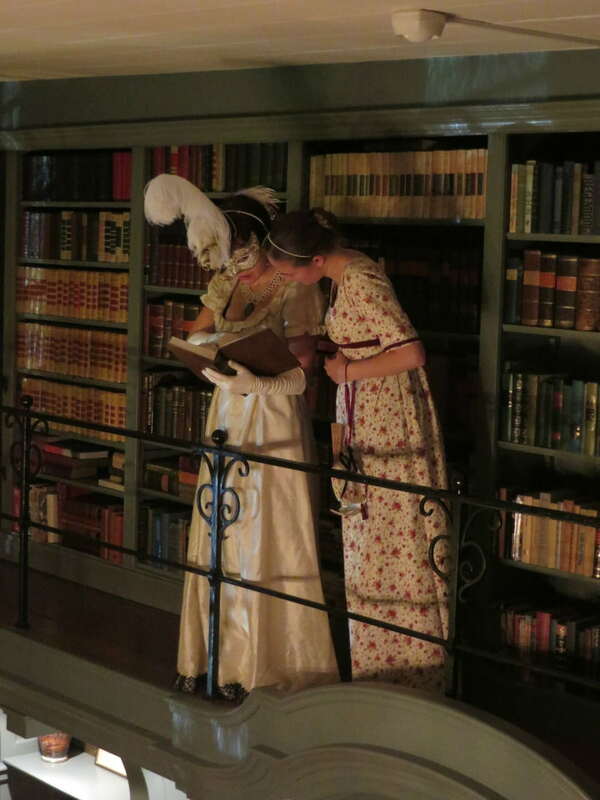 Reverence is a Dutch organization which organizes historical events, focusing mostly on the time of Jane Austen. I’d already heard a lot of stories about their annual historical ball from a friend of mine, but every year I doubted too long if I would go, and tickets were sold out by the time I decided. So this year, I figured that it was about time, bought my ticket on time and went to the ball. I have absolutely no regrets, I had a wonderful evening. The theme of this year was ‘Ball Masque’, so everyone came wearing masks. 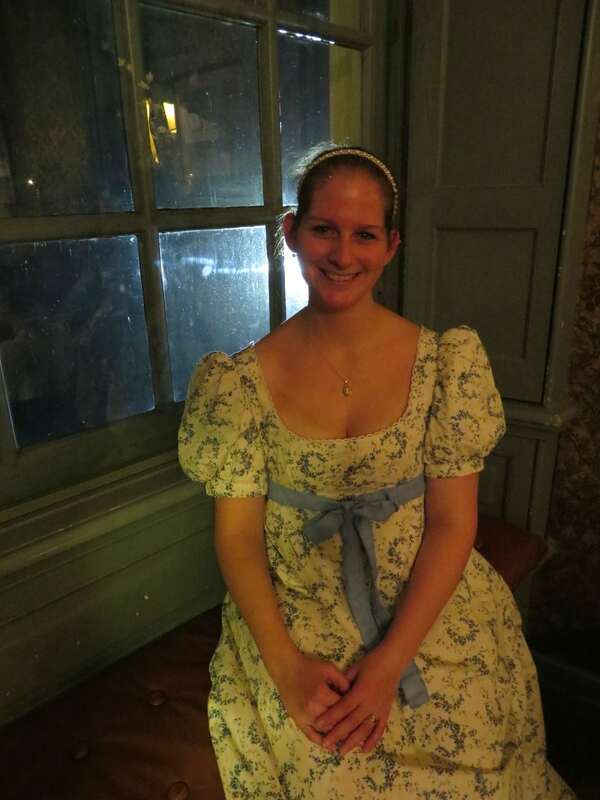 I finally finished my flowered regency dress for this occasion, and wore a mask bought in Venice. The location was the beautiful castle Wijenburg. Upon arrival, the guests were greeted by jugglers and a fire breather. The castle was beautifully lit, truly a magical arrival. Inside, we were welcomed with tea and pastries. With the ball underway, there was dancing, a blackjack chamber and a lounge. Enough entertainment for everyone :). The ball room during a break in the dancing. There was a lovely lady from England to teach everyone the historical dances. In the ‘lounge chamber’, there was a small library gallery above the room. Of course, we couldn’t resist taking a look. Me and Liesbeth, I’d already given up on my mask at this point. The book actually had a character named ‘Mr. Gay’ in it…. And of course, we had to take some pictures in the window-stills and with our fans. My lovely friend Marije in the window-seat. 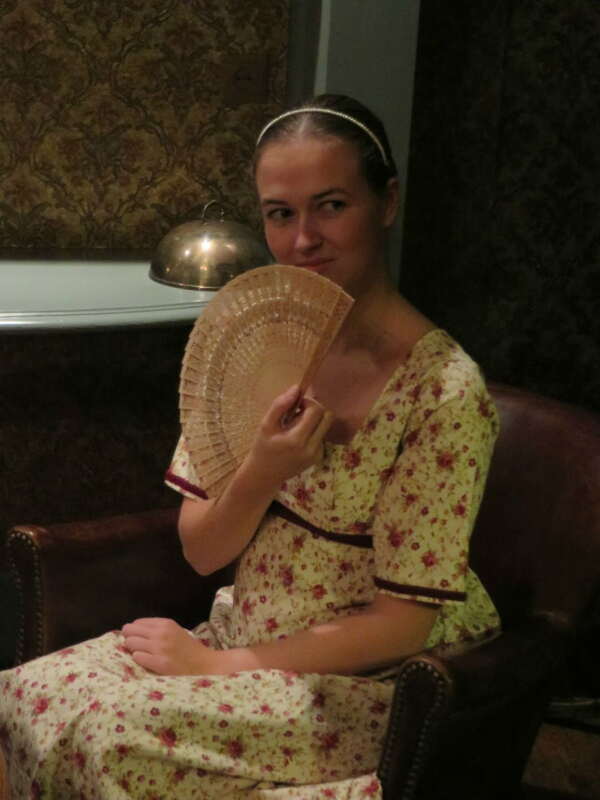 Looking mysterious with my fan ;). There was also a lady who was cutting out silhouettes. It was amazing just to watch her with her tiny scissor just cut the most perfect little silhouettes. I love mine! Finally, there was also a photographer making portraits of all the lovely looking people in front of the fireplace.